Kat, P.W. 1983. 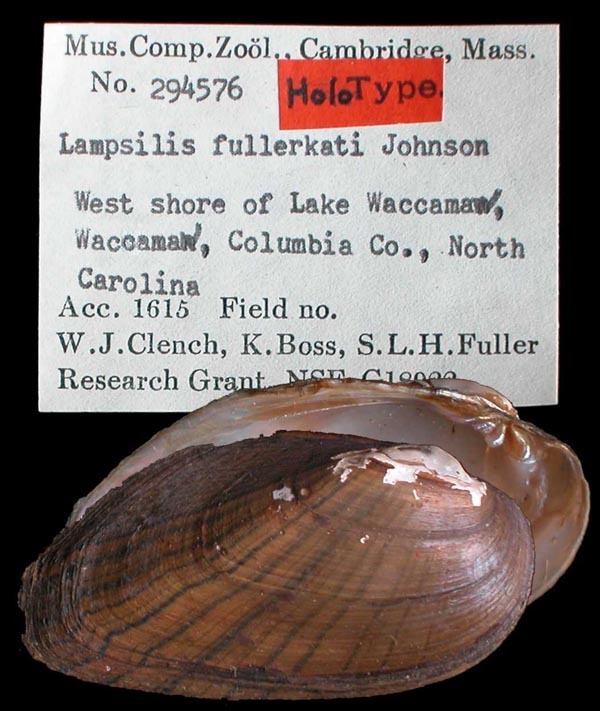 Morphological divergence, genetics, and speciation among Lampsilis (Bivalvia: Unionidae). Journal of Molluscan Studies 49: 133-145. Elliptio complanata. — Kat (1983: 21). Lampsilis ochracea (Say). — Kat (1983: 133). Lampsilis radiata (Gmelin). — Kat (1983: 133). Lampsilis sp.. — Kat (1983: 133). Lampsilis splendida (Lea). — Kat (1983: 133).